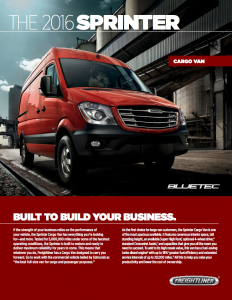 If the strength of your business relies on the performance of your vehicle, the Sprinter Cargo Van has everything you’re looking for—and more. 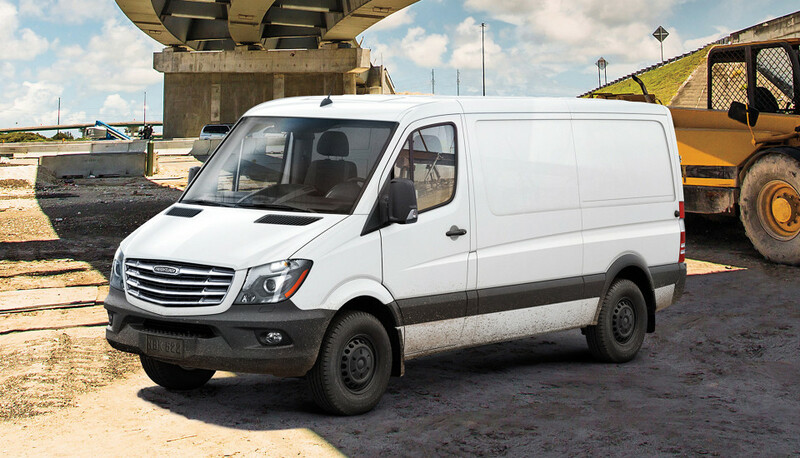 Tested for 5,000,000 miles under some of the harshest operating conditions, the Sprinter is built to endure and ready to deliver maximum reliability for years to come. This means that whatever you do, Freightliner has a Cargo Van designed to carry you forward. 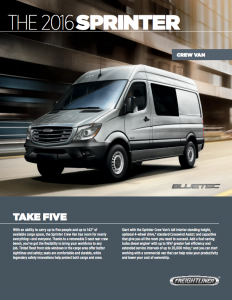 With an ability to carry up to five people and up to 142″ of available cargo space, the Sprinter Crew Van has room for nearly everything—and everyone. Thanks to a removable 3-seat rear crew bench, you’ve got the flexibility to bring your workforce to any job. Sometimes, getting there is more than half the fun. 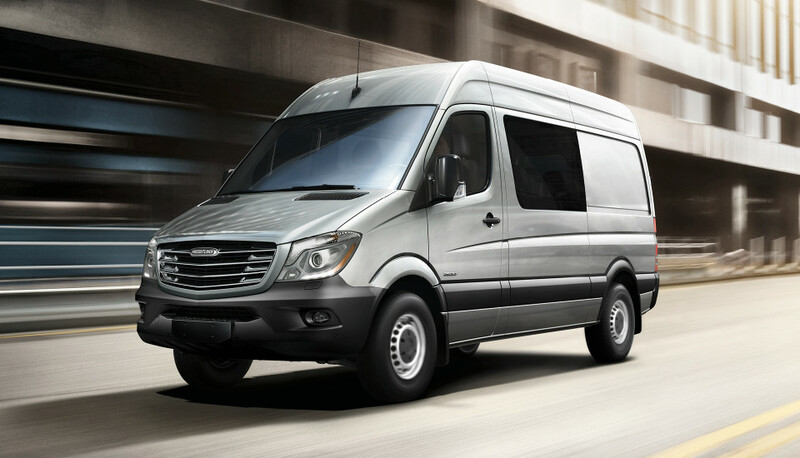 The Sprinter Passenger Van is designed to make everybody happy—drivers, passengers and even your accountant. 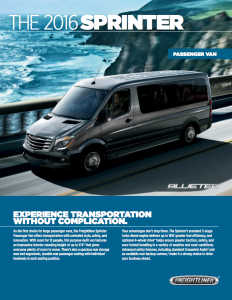 With greater accessibility, spacious storage and an impressive interior standing height of up to 6’4″, the Sprinter Passenger Van is made to make more people more comfortable. Optional rear air conditioning offers transportation without perspiration. 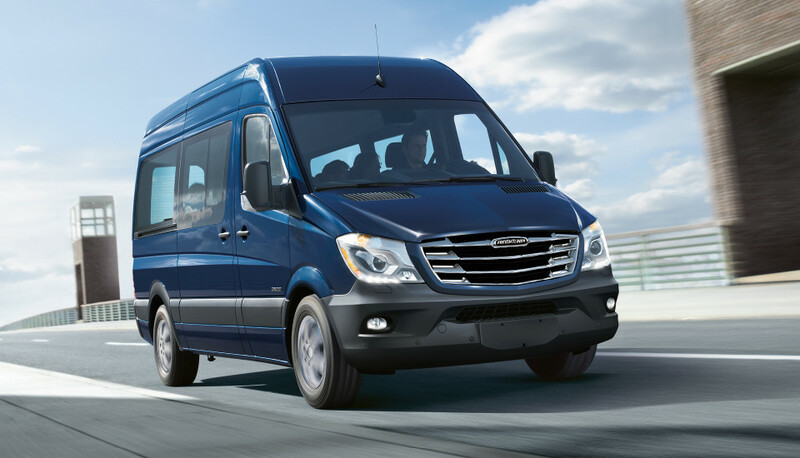 With room for 12, the Sprinter still has plenty of easily accessible space behind the seats for luggage and other items. Whether you’re building a state-of-the-art ambulance, RV, or box delivery vehicle, the Freightliner Sprinter Cab Chassis/Cutaway is the perfect way to begin. 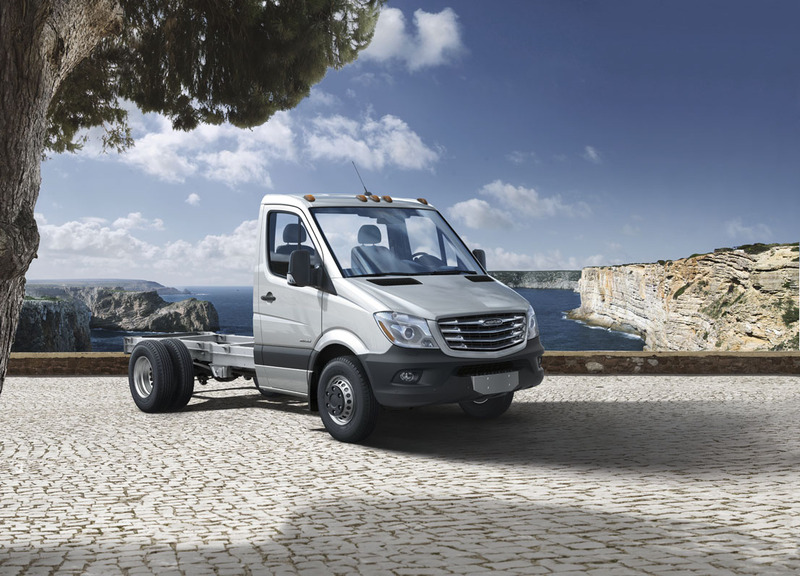 Powered by a standard high-torque turbo diesel engine that lowers fuel costs by up to 18% or an optional Diesel V6, the Sprinter Cab Chassis/Cutaway is compatible with a vast range of bodies and features. The lightweight, sturdy frame offers straight-line stability and roll resistance to help you drive with confidence, regardless of the load. 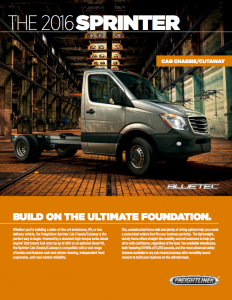 When you’re ready to build your business, the Freightliner Sprinter is the ultimate foundation. With nearly vertical walls, tall interior standing heights, abundant space and advanced technology, Sprinter Cargo and Crew Vans are easily transformed to fit your specific needs. At Hoekstra Equipment our experienced upfitters can make the Sprinter Van work for you , no matter what you do for a living. Contact our Sales Department for more information on upfitting your van!